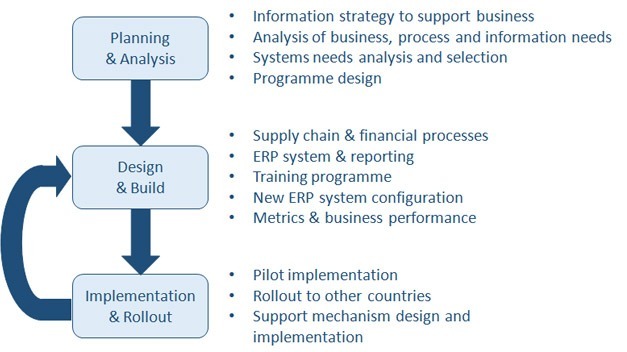 A global strategic review identified the need to improve supply chain performance & achieve process convergence across business units. The organisation had a trading presence in most African countries & manufacturing operations in West, East, Central & Southern Africa. SAP was implemented in larger markets & Fourth Shift in other markets. Enchange was selected to manage the programme. Additional tasks included programme design, process & procedures design, training & implementation support, particularly at Op Co level.